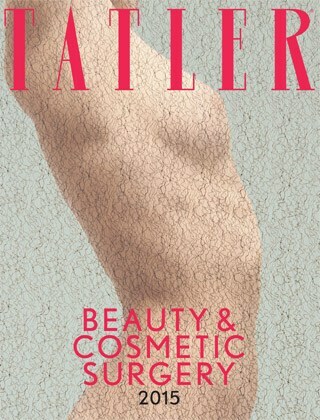 Voted best surgeon for Facelifts by Tatler magazine. THIS IS A MODIFIED AND LESS INVASIVE FACELIFT TECHNIQUE BY ITS CREATOR, MR RIAZ. 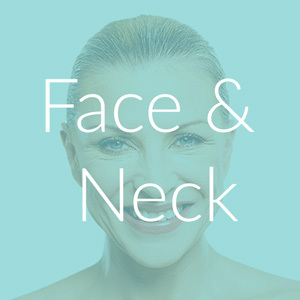 We call it the R face Lift to differentiate it from the previously described S facelift technique as there is no skin-undermining and deep dissection of tissue, therefore there is no swelling or bruising after the operation. The deep MACS (Minimal Access Cranial Suspension) facelift-type of sutures used give all the benefits which can be achieved by performing a MACS facelift and at the same time recovery time is very quick. There is no risk of damage to any nerves and also there is no risk of surface irregularity which can result after skin undermining and collection of blood clots. 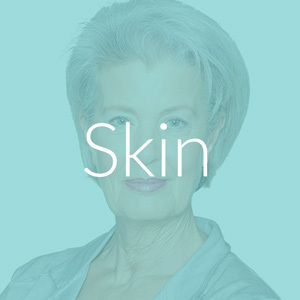 This technique is suitable for all types of patients, including patients who have early ageing changes and wish to have a quick recovery time. This is also suitable for patients with moderate to severe age-related changes who wish to avoid the more invasive procedures or sufferers of Ehlers Danlos Syndrome. This technique is also very suitable for revisional surgery or secondary facelifts. A face-lift is used to address age-related problems with the lower half of the face, from the eyes and ears downwards. Anything above the eyes is treated with a brow-lift. A face-lift involves elevating and repositioning the skin and soft tissue of the face. During the procedure, cuts are made in front of the ear, extending up and forward along the hairline; redundant skin is then removed, and the remaining skin is hitched and re-draped over its new foundations and sewn into position. Fat and tissue is redistributed and sometimes added to the face. Face-lifts are generally successful procedures and can have dramatic results, often setting the clock back about ten years. 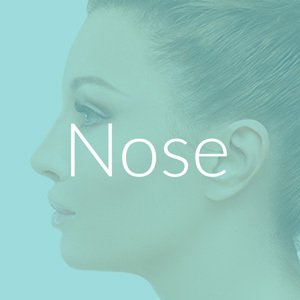 However, patients need to be aware that no face-lift will ever make them look 18 again, and you should be aware of the limitations before you agree to undertake surgery. Brow-lifts, for example, which use the same surgical principles and techniques as craniofacial surgery, allow access to the upper face and have different effects. Face-lifts are commonly performed under general anaesthetic, or with local anaesthetic and sedation. The operation takes between two to five hours, and patients are likely to need to stay in hospital overnight. Stitches can be removed and after ten to fourteen days patients can think about returning to work or going out in public. Within four weeks, you will be feeling more like yourself, albeit a younger looking version. However, patients are advised not to judge the final result of a face-lift for about six to nine months. This is a modified method developed by Mr Riaz during the last couple of years. 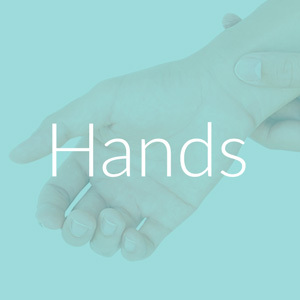 This method was developed in a particular patient who had Ehler’s Danlos Syndrome (EDS). These patients have a tendency of severe bleeding and bruising and poor healing. This technique involves a pre-operative assessment for skin laxity, and the area of skin to be excised is assessed and marked. This technique has a similar scar as in the MACS facelift, which is around the sideburn, in front of the ear and stops behind the ear. There is pre-excision of skin and fat down to SMAS without any undermining of skin. Therefore there is no bruising of the skin of the cheek and neck after this type of facelift. It can be combined with liposuction of fat under the chin and upper part of the neck. Deep sutures are used to plicate the exposed SMAS. The central concept of this technique is called the composite lift. The soft tissue of the cheek and neck is lifted in a vertical direction by anchoring the lifting sutures to fixed points above the cheek bone to the temple. This procedure is different to a skin excision only because skin approximation is not dependent on skin closure sutures. This technique does not require any drains or post-operative pressure dressings. There is a very short down time. The technique itself, as presented in the meeting of British Association of Aesthetic Plastic Surgeons in September 2014. This operation has changed my life Mr Riaz is an amazing surgeon, and I wouldn’t have trusted my face to anyone else. Two weeks after my face and neck lift and I’m already over the moon with the results and I’m sure it will keep improving. I was very nervous about my R Facelift procedure with Mr Riaz, which also entailed a (please put the correct name of the eye and the nose procedures) as he recommended after the consultation. Now, six months after the procedure, any minor swelling and scars have vanished, and the results are truly spectacular. I am 56 but I know I look at least 15 years younger and also a lot more beautiful! I am complimented a lot on my looks which is always lovely. Mr Riaz's approach could be described as conservative, which means that the results are very natural looking and simply makes me look much fresher and younger. I combined the R Lift with a course of facial treatments which addressed the residual pigmentation caused by sun exposure, as of course surgery does not address this. I can only say I am thrilled to bits with the results and would highly recommend Mr Riaz to anyone considering a facelift or associated procedures. I would like to take this opportunity to express to you my most heartfelt appreciation not only for your courage and skill but your pioneering vision to help people living with Ehlers Danlos Syndrome. Living with such a diagnosis is a daily challenge, thank you for teaching me the difference between a diagnosis fact and faith. The fact is when so many Doctors were so discourteous and shattered my dreams. Fact is when I met you, and the faith you had changed my destiny. Before saying you are an extraordinary Doctor, I want to tell you that you are an extraordinary human being, thank you for learning all you have and for passing that learning on to others. Thank you for your contribution in my life and for being so careful with me. The secret to my amazing recovery is due to your talent and expertise; I am so grateful to you and your team. The surgery and the results have given my life a new beginning saying “thank you” seems so insufficient but I can find no words that truly express my feelings appropriately, so I use these two simple words with the hope that you know the depth of emotion and gratitude they contain. My son is a Plastic Surgery trainee and worked under Mr Riaz in his NHS practice a few years ago. He always told me that if he trusted anyone to operate on his mother (me), it would be Mr Riaz. I developed facial signs of ageing at a comparatively younger age and was especially conscious of my jowls and excess neck skin during my 60’s as I began looking much older than my other half who hardly has any wrinkles. At 70, I decided to do something about it and visited Mr Riaz for a consultation. He was an extremely friendly and humble surgeon who discussed my concerns and took the time to explain in detail how each concern could be addressed. I requested time to think about going under the knife and came back a year later with the determination to undergo his R – face & neck lift with neck liposuction. He was flexible with dates as I flew in from Pakistan for the operation and accommodated me at a weekend of my choice. His anaesthetist Dr Rafique took on board my complicated anaesthetic history and tailored it so that I would undergo a safe anaesthetic. Mr Riaz himself was extremely professional. The post-operative care (including the application of the facial corset) was all undertaken personally by him, and as I had to go back to Pakistan soon after the procedure, he even accommodated my request for absorbable sutures. I am a doctor (Gynaecologist) myself, and everyone says that doctors make the worst patients. However, Mr Riaz did not make me feel awkward on any occasion. He stayed in communication with me and answered all my post-operative queries in the most appropriate manner. After the operation, I was in hospital overnight and then went home. I went shopping to Tesco wearing the facial corset without any problems. A week after the operation, there was no pain, and I undertook my daily chores without much restriction. Three weeks after the surgery, my son arranged a makeover, and photo shoot for my friends and me on Facebook commented that I suddenly looked like I had looked in my 30s. My husband was speechless with happiness when he saw me (as I had kept my surgery a secret from him) and he still occasionally looks at me with amazement. I have got my confidence back! I would like to say a huge thank you for helping me in November. The operation has changed my life for the better and I cannot thank you and the team enough! I feel like I have got my confidence back and that means the world to me. Thanks again. Having left my hometown of Grimsby many years ago, I was delighted to find while researching best cosmetic surgeons in The Tatler Guide, that Mr Riaz was one of four recommended, in particular for being the pioneer of his R lift procedure, practising in Hull and Grimsby. I travelled from my home abroad for a consultation and family visit and following my meeting with Mr Riaz and his Cosmetic Surgery Sister Lynda immediately felt in safe hands and absolutely full of confidence for a great result. Mr Riaz - as I have already told you in person, you are a genius. I could not have wished for a better outcome! You have truly made me look at least ten years younger but in a very subtle way - my friends and family cannot believe how amazing your work is. One only has to read your testimonials from patients and the accolades from other surgeons in your profession to understand how respected you are, and I am sure the people you help on a charitable basis in Pakistan are eternally grateful. Please accept my heartfelt Thank you, Mr Riaz! You are quite simply the best, and I look forward to proudly showing you my new face at my next consultation. Live outside Hull & East Yorkshire? Here's some useful information if you need to travel and stay over as part of your R Facelift Cosmetic surgery procedure. Mr Muhammad Riaz (mrmriaz.com), once again voted as one of the UK's best cosmetic surgeons for Breasts, Tummies and intimate areas. Thats 5 consecutive years running.